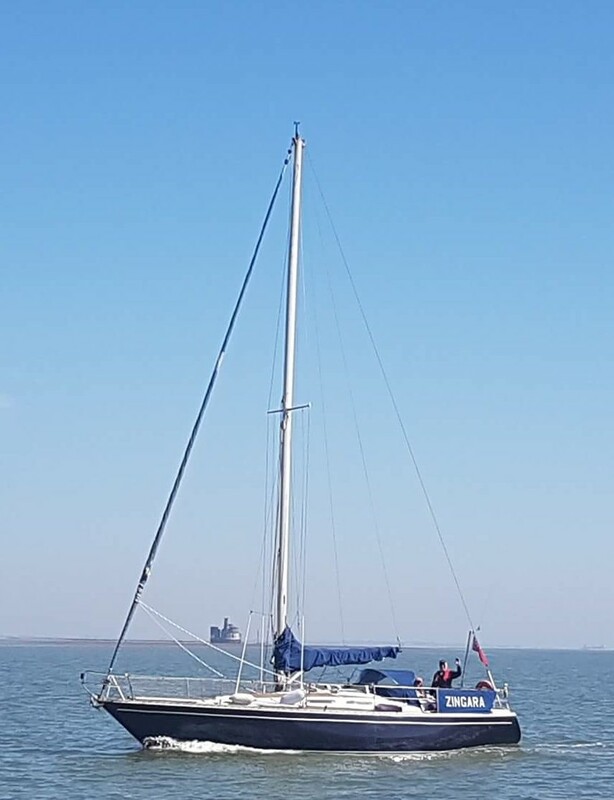 Following on from the Vintage Solo Championships on Saturday 14th July, twelve Leigh boats were joined by eight visitors for another day of perfect sailing on the Thames Estuary. As usual boats were rigged while waiting for the tide to cover the mudflats, the sunshine was warming up the land and as the tide came in the sea breeze followed to give a very steady 12 to 14 knots easterly. After a breakfast of bacon rolls washed down with tea and coffees, boats were launched to join the race committee who were setting the course. 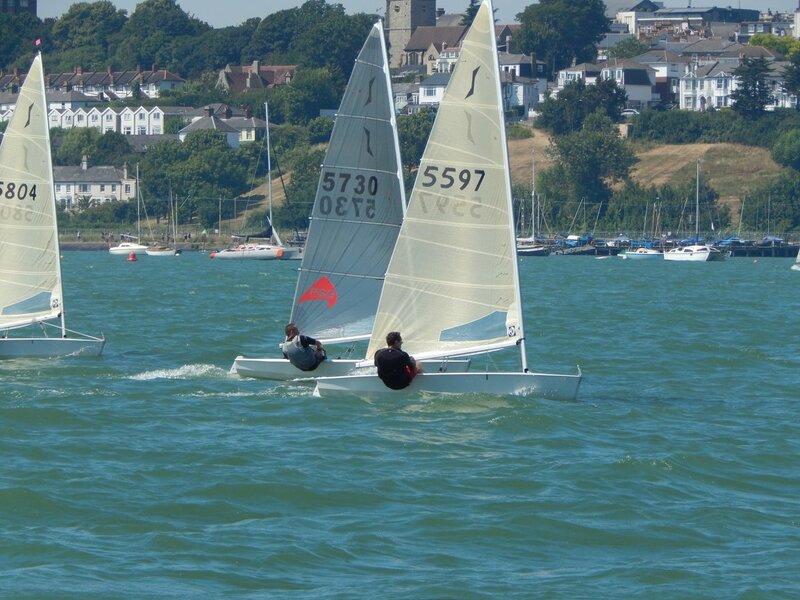 To control the over keen Soloists the RO used the ‘I’ flag to persuade them to stay behind the line before the start gun to avoid the rash of OCS boats experienced during the Vintage Championships. A clean start top race 1 saw the fleet split roughly evenly left and right, on the left trying to avoid the tide and, on the right, looking for clear air. Jarvis Simpson made the best of the first beat and lead the fleet round for the rest of the race, behind him Steve Ede trailed Rob Laurie around the first round but manged to pass him on the second round to take second place. 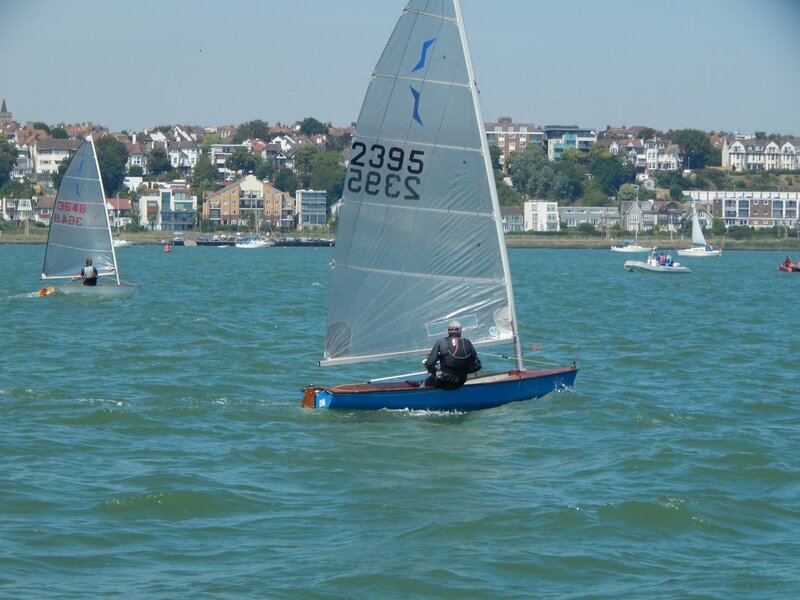 Jonny Wells having swapped his ‘vintage’ championship winning boat for a newer model finished in fourth place. Alan Roberts was the first of the vintage boats (vintage being 20 years old or older with a sail number below 4186) in seventh. The Tothill brothers Rob and Matt battled with each other with each other with Rob taking the honours in eighth. Another clean start for race 2, followed by a similar split in the fleet but this time first up the beat was Jonny Wells, followed by Steve Ede. Jonny Held the lead for the three rounds of the race but behind him there was a lot of place changing and some new names moved up the fleet. Vince Horey finished second, Steve Ede dropped to third. Rodger Smith sailed the first vintage boat into seventh place. The battle of the Tothill brothers saw Rob take yet another family victory. To finish the day, we had yet another clean start for race 3 and another leader first around the windward mark, Vince Horey lead the pack around and like the other first mark leaders held on to his lead to win the race. Jonny Wells was second followed by Steve Ede in third. 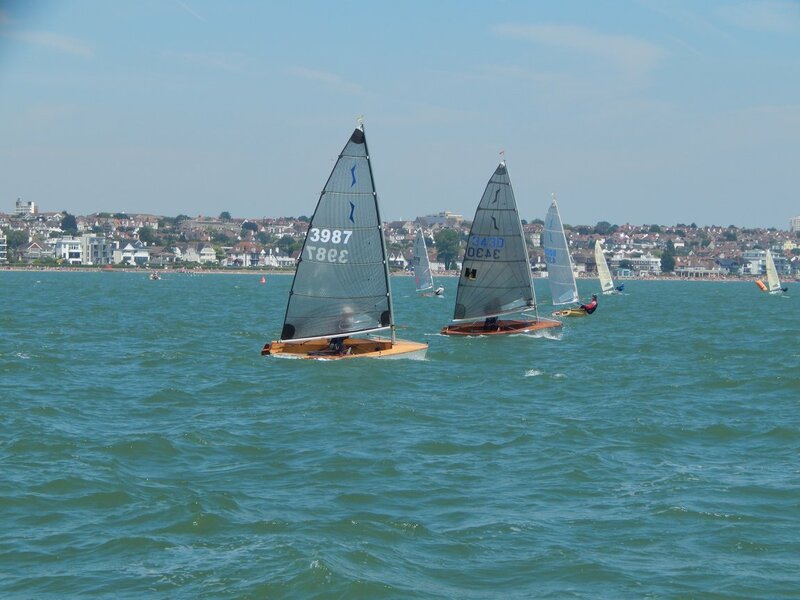 Alan Roberts returned to seventh place as the leading vintage boat, while in this race Matt Tothill won the family feud in eighth place while Rob manged tenth. 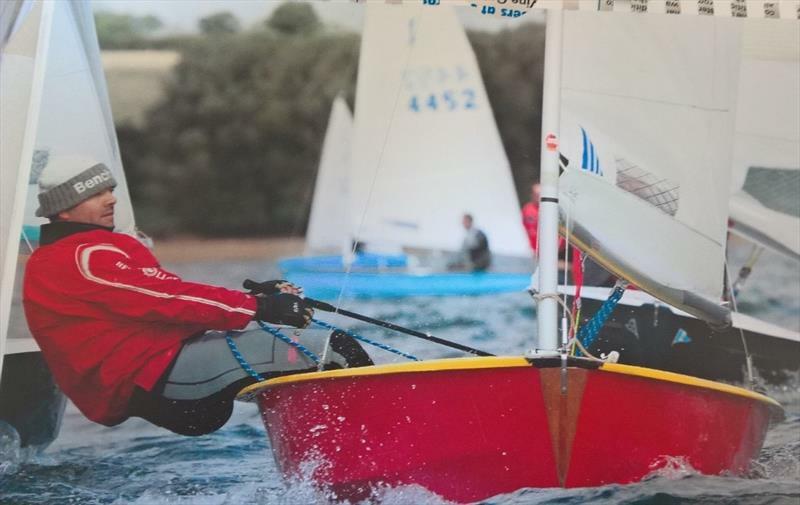 For persistence and determination Jonathan Moore sailing in his first Solo Open meeting managed to complete all races although he finished last in every race. After the calculation of the results, each race had a different winner, the overall winner was Vince Horey, with Jonny Wells second and Jarvis Simpson third. Several spot prizes were awarded, and day was rounded off with a great spread of cakes and sandwiches. 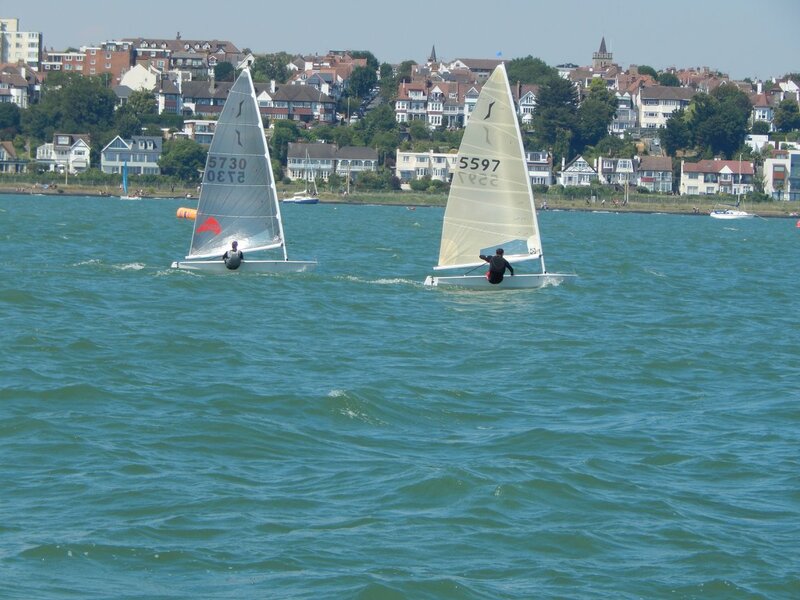 This coming weekend, 14 / 15th July, LSC are hosting Solo Class championships and are expected to host many visitors. The success of the event will heavily depend upon being able to accommodate cars and trailers to as many guests as possible. We therefore respectfully request that the Prom is left free for guests only. Regretfully this request also goes out to the volunteers who are kindly giving up their time to help out with the event. Many thanks for the co-operation. We are respectfully asking all club members NOT to park any vehicles on the prom over the weekend 13th / 14th / 15th July. This is when we will be host the Vintage Solo Championship and the Solo Open meeting, and we would like to allocate all our parking area to the many visitors that we are expecting for this event. You help support and understanding, as always, is greatly appreciated by your committee members. 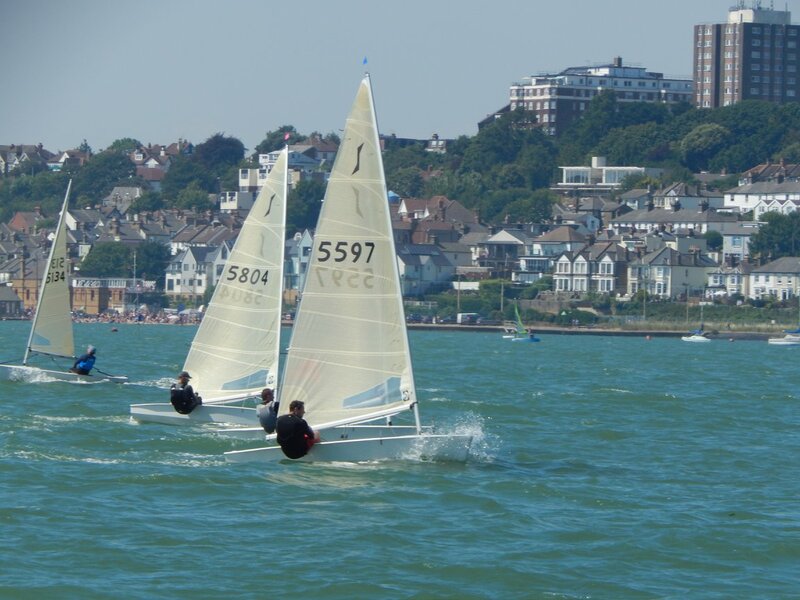 Leigh on Sea SC Enterprise Open Report Saturday 16th June 2018. 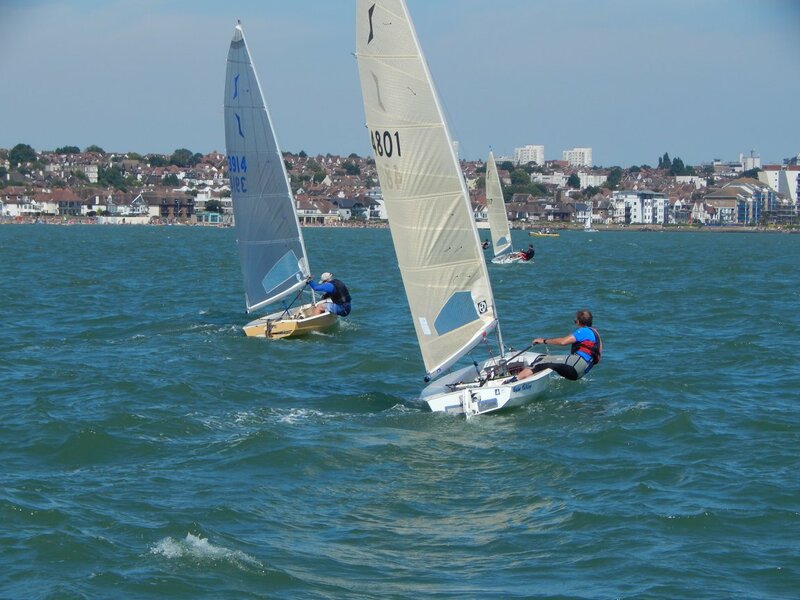 Leigh on Sea SC GP14 Open Report Saturday 16th June 2018.